Pretty often, as it turned out – at least during the holiday season. When we contacted the director and offered to shower her organization with donations and December volunteers, she was appreciative. But she already had all the help and donations she could handle for the holidays. Her suggestion: call back in February and get on the schedule to buy, cook and serve some meals to families at the shelter. We did just that. The experience taught us to rethink our approach to giving – both as a work group and as individuals. 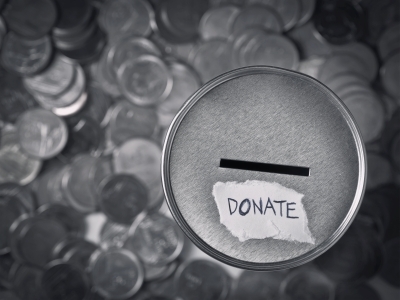 Charities need contributions throughout the year, not just during the holidays. In a 2013 article for Slate, Ken Stern reported that about 40 percent of all individual charitable contributions each year are donated during December. Dry spells in giving are common during other parts of the year, when many organizations struggle to meet ongoing needs. By spreading your contributions out during the first 10 or 11 months of the year, you can do a great deal of good when it’s needed most. You may have more room for giving in your budget earlier in the year. No matter how carefully you manage your spending, it can be a challenge to stay within budget during the holidays. Spreading out your contributions may leave you with more to give. Giving during less hectic times also lets you plan and really think about where you want your charitable dollars to go. The same principle applies when it comes to giving as a group – whether it’s through your church, the company you work for, or some other organization. It may be easier to make room in your schedule for volunteering. Life gets extra-busy during the period between Thanksgiving and Christmas. In a Washington Post article entitled “Seven Worst Ways to Give to Charity During the Holidays,” Vanessa I. Small confirms that many volunteering opportunities during the holidays get booked up months in advance. Volunteering at slower times of the year could make a lot of sense for you and the charity you’re helping. As one of Small’s sources explained it, some volunteer efforts are better suited to a long-term commitment. Many organizations would rather get 100 hours from one person over the course of the year than one hour each from 100 people during the holidays. Giving is more meaningful when you aren’t distracted. No matter what’s being given or who’s being helped, we should strive to give our very best. Giving during a less busy time of year can help you stay focused on what you’re doing and why you’re doing it. Year-round involvement makes giving back a regular part of your life. Sharing what you have with those in need is part of a financially and spiritually balanced life. When you make giving a priority throughout the year, it’s more likely to become second nature and be a real blessing to you and your family. After that first experience serving at the shelter, our work group signed up for additional volunteer slots during the course of that year. The longer time frame gave us breathing room to consult with shelter staff on pressing needs. We were able to give the shelter what it really needed during the months when overall donations had slowed to a trickle. When all was said and done, we still made some contributions during the next holiday season. But by spreading our contributions throughout the year, we were better able to make a difference in the lives of people who needed help. Questions: When do you do the majority of your giving? Has a gift you wanted to give ever been turned down because the recipient already had what they needed? Insights and research on this article were provided by Check ‘n Go. I don’t have much money to give right now as I’m trying to pay off debt, but I do allocate a small amount each month for charity. I do give a bit more during the holidays, but I try to give throughout the year too. Kayla recently posted…Getting Life Insurance for Frequent Flyers Outside U.S. I think you should feel really good about the fact you are continuing to give while paying off debt. Yes it’s a sacrifice but you are keeping some focus of your life on other people which is a great perspective to have. Any amount that can be given is helpful even if it’s just a little bit. Good point. There are needs all year around, not just around the holidays, and making resources available year around will help provide for those who need. “…making resources available year round…” Agreed! People really have to be intentional about that and develop a giving plan for that to happen. Great point Brian. I think people generally get caught up in the spirit during the Holiday season, and that’s when they tend to donate. In the Northeast January and February are usually the coldest months. I’m sure food and clothes donations would be a blessing during those times. “…caught up in the spirit…” I agree Brian. There is so much more of an emphasis put on giving during the holidays. Nothing wrong with that…just would be nice to see more people extend that giving spirit through the year. There are always needs.